All of the blog entries from all over the network. For those interested in listening live I’m reintroducing the live stream here. Archives will play the entire backlog of shows at random with handy links back to the full episode if you’re part way through you could can grab a download and listen to the rest later. With nearly eight continuous days of audio content you won’t hear the same episode twice for quite a while. That said the primary purpose of the TEN Radio Station is to stream live shows - look for the bright red icon on the menu that indicates that we’re streaming live! As before there is an IRC Channel you can join via the embedded client or via your IRC client of choice on irc.freenode.net which will automatically connect you via the webpage. 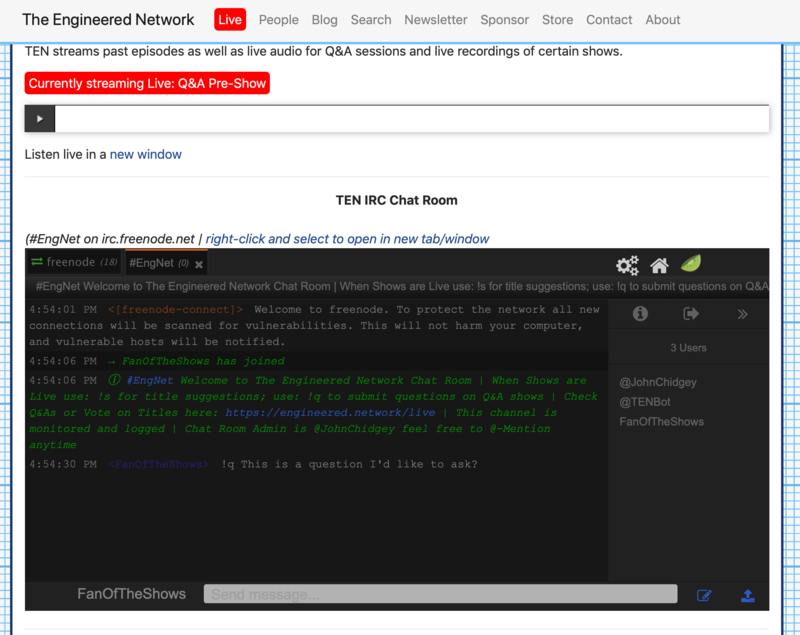 If you’d like to submit questions in the chat room then simply type !q and they’ll be added to the list live during that session. Alternatively you can pre-submit questions on Twitter by using the HashTag #EngNetQA or the same via the Fediverse. Live will be reserved primarily for non-solo shows and will also be used for live Q&A sessions. We’ll be kicking off with a series of Q&A sessions over the next few weeks. For Patrons the raw Q&A sessions will be posted as a bonus. The schedule for upcoming shows is shown at the bottom of the Live page and the time, date and type of show is shown in multiple time zones around the world for your convenience. Announcements for going live will be sent out via the Fediverse @chidgey@engineered.space and via Twitter @Engineered_Net and there’s a handy count-down timer on the live page too. Watch for announcements and join in the conversation! A really quick update on my last update that I’ve also been meaning to get to for a while, I’ve now made the reviews cycle through dynamically so they take up less space on the page, and I’ve also added curated Tweets mentioning the shows on the network. Enjoy! A quick update I’ve created a sub-reddit for anything and everything about the shows on the network and as posted on Patreon you can get extra flair (if that’s your thing) for all Patron levels. So if you’re into Reddit, please share and comment any time. As always a huge thank you for everyone that takes time from their day to listen to our shows. Thank you for your ongoing support. I wouldn’t still be podcasting without it. Named Supporter: In addition to your current rewards, you’ll also get ad-free episodes of Analytical early release! Enthusiast: In addition to your current rewards, you’ll also get ad-free episodes of Analytical early release as well! Backer is now known as a Silver Producer: Thinking about it, producers provide funding for music albums, movies and such, so it makes sense to credit the level of support where Producers have their names read out at the end of every episode. In addition, at this tier Patrons will get a named thank-you in the Show Notes of every episode! Gold Producer: A new tier with all the benefits of Silver, however you’ll be able to choose a specific topic! In the past when I’ve had topic suggestions it was hard to pick a winner since it had to overlap with the sorts of topics that I personally found interesting. Hence here’s how I see this working: Twice a year, a Gold Producer will get to pick a single topic from a list of topics on ANY of the shows I make on TEN and that episode will be produced for you in the next six month period: guaranteed. If there’s no topic in the list of interest then we can discuss options for alternative topics. So if you’ve ever wanted some control of what’s covered - this tier might interest you! Major Backer is now known as a Platinum Producer: This tier has the same benefits as a Gold Producer, with the choice from a list of topics on ANY of the shows I make on TEN and that WILL be the NEXT topic recorded for that episode. Every month. That’s right: EVERY MONTH. So if you’ve ever wanted control of what topics are covered on one of the shows then this the best way to do it. I’ll be gradually sifting through the backlog of episodes on Patreon and updating the episodes so they show up in the Named Supporter and Enthusiast Audio Feeds so if they don’t show up immediately, please be patient. In addition during the many tweaks of episodes on Patreon, Episode 25 Nostalgia needed to be deleted and re-created, so now it’s showing up out of sequence (apologies). I also updated the reward tier artwork to something more colourful because, well, why not? Also a minor point: All ad-free “Premium” episodes will now have the Premium gold seal in the top right corner of the show art. Today this allows for something that Patreon doesn’t currently support: individual feeds for each show. However, there is one thing to be aware of with Breaker. With Patreon it’s possible to grab your personal RSS Audio link and import it into ANY podcast player app you might choose. With Breaker this is not an option. You can’t listen to any audio in any app other than Breaker, or via their Web page audio player. For some people this is a deal breaker (not funny?) and hence I’ll maintain the Patreon common audio feed just as it stands today. One final note about Breaker: the Patreon integration is currently in Beta and whilst it works most of the time, I’ve been testing it for several weeks now and although it seems more stable this week than previously, if there are issues with the login/tier levels there’s little I can do about it at this time. By all means though, give it a try! Thank you everyone for your continued support and I hope you enjoy the extra rewards and more flexibility in listening to our shows. (Full version posted here) After a lot of deliberation and consideration it’s time to refine (slightly) where archives are kept on which site. In the past, podcast archives were found on TechDistortion and only current active shows were kept here. From last week TEN will now be the sole repository for all podcasts, past and present with a new archived section that contains all past episodes of shows long since ended. The hosts and guests list has been extended to include all shows, past and present. With all audio content hopefully more logically grouped by type and audience, anyone visiting will be more likely to find exactly what they’re looking for. As time passes and server load changes, it’s a good idea to reconsider your strategy for hosting and the type of site you want to maintain. Over several months I’ve been chipping away at a gradual migration from the original Statamic-based site using the Statacast Plug-in that I developed specifically for TEN, to a GoHugo based Static website. The performance improvement in so doing is staggering, with page load times at worst three times faster and at best over ten times faster. I’ve also taken the opportunity to give the site a spit and polish, a nip and tuck if you prefer while I was at it. Beyond that I’ve also now been able to finally add the previously (briefly) mentioned transcriptions for all episodes. The truth was that when I originally deployed that a few months ago, the load sky-rocketted and was the ultimate trigger for the site migration away from Statamic to a truly Static site. I’ll be back focussing on content again now (there’s only one of me and only so much spare time in my day!). Thanks as always for your patience and your support of all of the shows. (Originally published 20th June, 2018) As real-time processing power improves and server-side software can search audio for specific words or phrases on demand or build a catalogue in the background for text search of audio files en-masse, like google does now for text and to some extent also for photos, transcriptions of podcast audio will become obsolete. That said, such a reality isn’t within our grasp just yet, with the best audio transcription software not much better than Siri, Alexa or Google Home assistants. Inspired by the ever-creative “underscore” David Smith and his podcast search side project (his words), and seeing the utility in text-driven audio search, I decided it was time to do something similar at TEN. Like David, I’m happy with approximation. Of course I could spend countless hours manually transcribing hundreds upon hundreds of hours of audio, or I could rely on transcription software to handle this for me and give its best effort. It isn’t perfect, but it’s good enough to pick out keywords and phrases to allow you to hone in on roughly when and in what episodes certain topics were discussed. Unlike David, I didn’t use a series of scripts into a web service backend to do the heavy lifting, instead I relied on a commercial off the shelf tool that I’d forgotten I still have a copy of from a previous life: Dragon Dictate. The interesting thing I found about the software was that the older Windows version (v13) was the only one that was stable and compatible enough with all of the MP3/AAC files and formats I’ve used over the past 5 years. Attempts to use the Mac version of Dragon failed miserably, with it crashing constantly and refusing to transcribe episodes for reasons unexplained. To accomplish this Dragon v13 was run up in a Windows 7 VM and set to auto-transcribe. The entire backcatalogue of TEN shows took nearly a week of constant background processing to complete, but the results are in. As of today the rough-transcripts can be downloaded as text files if you like, from a link at the bottom of each podcast episode page, and under the Search option for the website it should pick up which episode mentions which words via DuckDuckGo. I’ve only rolled out Pragmatic episodes for the moment but the others will follow in coming weeks. As for motivation, I’ve had several listeners ask for this feature for quite some time, but to be honest this solution is just as much about me. Having recorded and published hundreds of hours of audio it’s become clear to me that my memory is sometimes at variance with the facts of my previous recordings and when I’m covering a topic I want to firstly make sure I haven’t covered it previously, and if I have, to be sure I’m not repeating myself or I can at least refer to it correctly. Hopefully it’s a useful feature. Enjoy! Developing as a podcaster, incrementally over the past five years has been marked by different recording setups as I’ve expanded my knowledge and developed a better ear for sound. Whilst I’m never going to achieve the levels of audio proficiency that audio technicians working in broadcast have, I can at least do the best with what I have available. 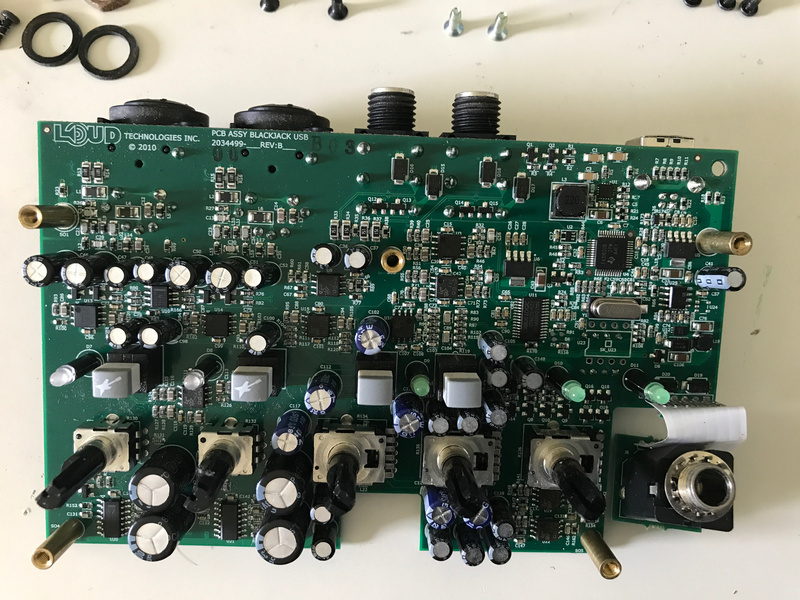 From an audio hardware perspective I’ve essentially had four main setups in the past five years. iPhone Headset ($29): Used for recording The Exastential Podcast. It was a good place to start but the audio quality was, quite frankly, terrible. Generic Fabric Pop Filter, Generic Shock Mount, ATR-2100 USB Microphone ($79) from Amazon, Generic Boom Arm (About $150 total): Used from the beginning of Pragmatic on Fiatlux, and continued to be used through the indie transition for the show. The audio quality was acceptable but via USB it introduced a reasonable amount of background hiss which was annoying. For a brief period the Onyx Blackjack was used instead via the ATR-2100’s XLR input however the ATR was retired shortly thereafter. Stainless Steel Pop Filter, Onyx Blackjack USB Interface ($149) from Amazon, Heil PR-40 ($327) from Amazon, PRSM Shock Mount ($105) from Amazon About ($600 total): With sponsorship funding from Pragmatic I consider this to be my first semi-professional set of equipment. 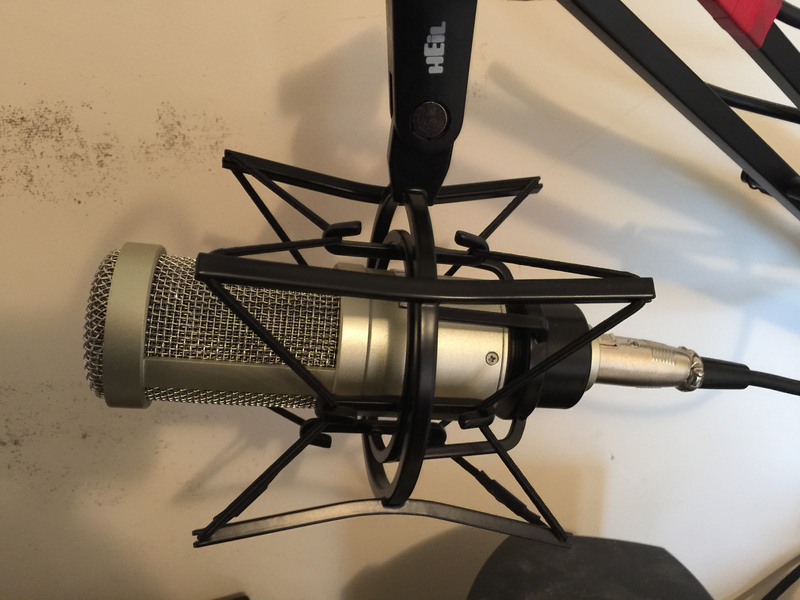 The Heil PR-40 is an impressive microphone and the stainless steel pop filter surpassed the fabric one. I also switched from a boom mount to a desk mount at some time during this period, but was mainly because my boom arm was cheap and kept sagging under the weight of the Heil and its shock mount. In time, I’ve come to prefer a desk mount as it works better for me. The biggest complaint with the PR-40 was that although it had a beautiful sound, the Onyx input gain was fully cranked in order to get a decent volume out of the microphone. The gain hungry microphone was left wanting for more gain and whilst the amount of audible hiss was further reduced compared to the ATR2100 via USB, it was still very noticeable. Added DBX-286 Pre-processor ($199) from Amazon: With launch sponsor funding I added one of Dan Benjamins highly recommended audio pre-processors: the DBX-286. (It’s worthy of note that it was AT THAT TIME, however since he has moved onto a more advanced Apollo interface) It’s an excellent amplifier that finally allowed me to extract the gain I needed from the Heil, however upon tweaking the De-esser, and various other settings endlessly, I could hear enough audio artefacts from the pre-processor that after a year or so, I turned off the pre-processing features and used it for additional gain, but shortly thereafter I stopped using it entirely. Interestingly last year Dan sold all of his. Theory seems to be that if you capture a clean signal, software post-processing gives you the opportunity to tweak the result any time you like, however by modifying the source audio you’ve affected the final recorded audio permanently, leaving you fewer options to tweak it if there was an issue with the settings. I heard the beginnings of an issue with my Onyx Blackjack. The USB Interface was about four years old and the input potentiometers were becoming very noisy. It’s a common issue with analogue potentiometers, even those that are sealed. With use, the wiper that contacts the resistive strip on the dial inside the potentiometer develops a thin layer of dust, grit and oil that causes pops and hisses in the recorded audio. With sealed pots you can’t spray them with a contact cleaner, so there’s no option but to replace them. Mackie used unbranded and practically unlabelled pots, and their schematics weren’t very helpful. Podcasting was put on hold for nearly two months whilst I identified workable spare parts and went about attempting to fix the Onyx. 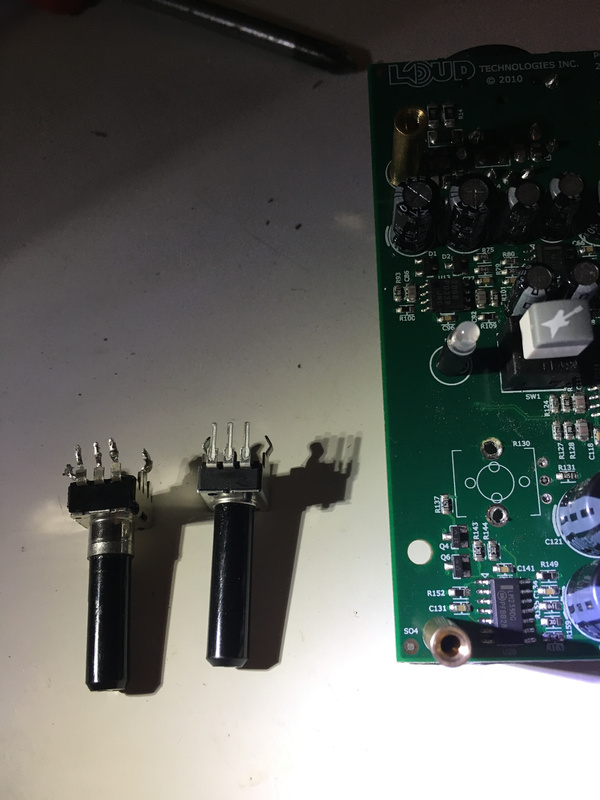 I had to re-record several episodes of Analytical in early 2018 as a result, and spent a lot of time disassembling, resoldering the Channel 1 potentiometer and reassembling the Onyx so that I could do that, however the incident stepped up my plans to replace the Onyx with a better USB Interface. A more recent model with the same amplifiers as the USB Pre2 that Marco Arment adores. SoundDevices Mix Pre3 USB Interface ($850) from Amazon, Shure BETA 87A ($249) from Amazon, Sound dampening material/enclosure, Primeacoustic Audio Shield ($99) from Amazon (About $1,300 total): Saving up from many months of Patron support, I’ve finally taken the plunge on my newest equipment. The Shure BETA 87A is a wonderful microphone, and because it’s designed to be handheld, it doesn’t require a shockmount nor does it require a pop-filter or windshield for my use case. I’ve used it on the repaired Onyx and it sounds much more balanced and is a more honest representation of my voice (more treble content than the Heil). Additionally because it’s a condensor it doesn’t require huge amounts of gain and the audio is considerably cleaner with most of the background hiss that’s typical with Dynamic microphones, has effectively disappeared. The Pre3 is a forward-thinking purchase. It’s the successor to the MixPre-D and shares a lot of the same technology as the USB Pre2 except that it’s more portable, offering local mixing and recording as well as USB Interface recording (simultaneously) from a multitude of power sources. 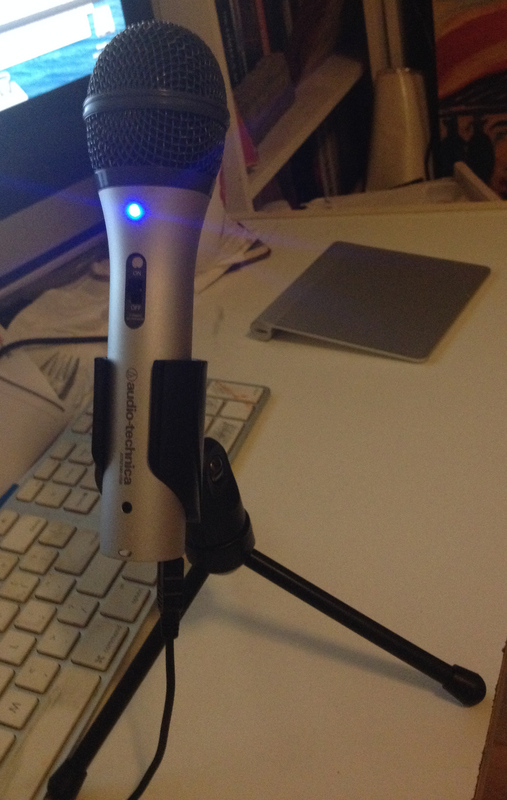 It’s rugged so can be used portably as well as for podcasting in a home studio and can handle 3 XLR inputs. 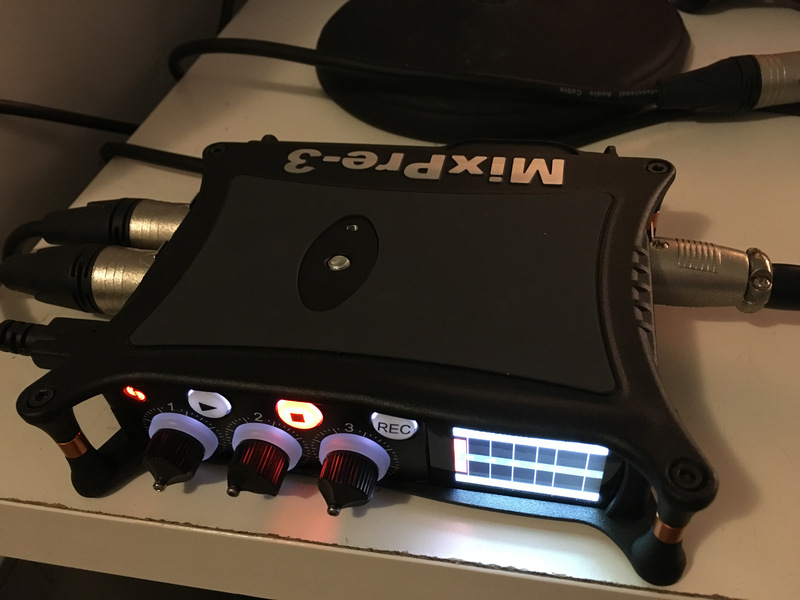 The Pre3 will allow me to start doing field recording and interviews without an iPad/Mac nearby, self powered and the ability to record three people at once locally. I still have the ATR and the Heil and the Pre3 will drive them very well opening up range of additional recordings I’ve been unable to do until now. I’ll post more on that in the future. Beyond this, paired with a DSLR for video, high quality audio recordings in the field will be possible shortly with an additional shotgun microphone. Sound treating my house has always been a point of contention. The room I have to use is what (in this house at least) we call a Study, however as the floor plan identifies it as a dining room it was built without a door and one may not be added for reasons that those in long term relationships will probably understand. The walls could not be modified and needed to be sound-treated in such a way that the components could be kept safe from the family pets. (Removable double-sided taped panels are therefore not an option thank to a cat that loves to shred soundproofing material) In addition, making the setup portable would allow additional flexibility in the future. 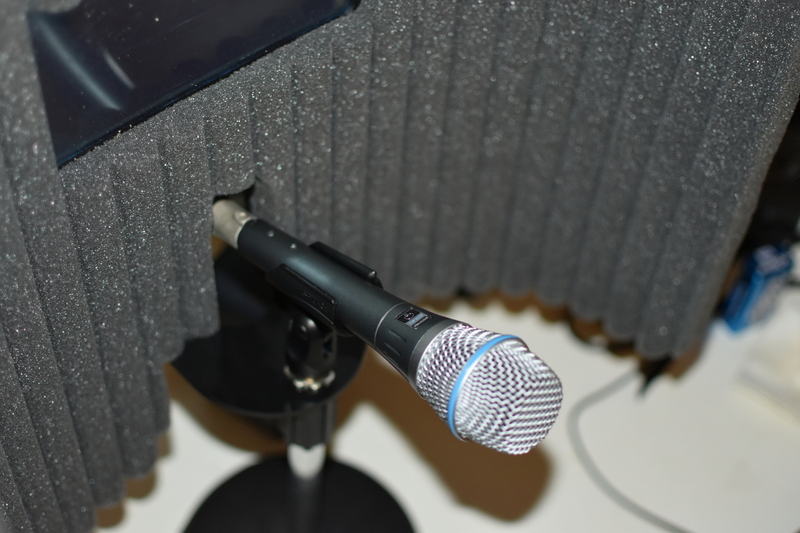 The Auralex Audio Shield wraps behind and to the sides of the microphone eliminating the reflections from the computer monitors and the walls. In addition a series of photography backdrop stands with a blanket material and a thick rug underfoot for sound absorption do a reasonable job of attenuating background nuisance sounds. In effect I’ve built a custom sound booth and the audio quality is surprisingly good. Episode 85 of Pragmatic was the first to use the new setup in its entirety and having now edited that and a few others I can say that difference this has made is significant. Even with a modest amount of gain the Shure and Pre3 deliver quiet, clear undistorted audio. As a test of just how clean the audio was, I amplified and normalised a Pre3 recording in post-production without any perceptible increase in background hiss. That would have been impossible with the Heil/Blackjack combination as the pops and hiss sound level became very noticeable. The new equipment provides a great deal of flexibility, with tested combinations including solo microphone local recording, DSLR connected audio/video, Skype/Facetime/Mumble PC/Mac independent and Integrated recording, and 3-person local recording both PC/Mac independent and Integrated. This will make field recording a breeze and the improved recording quality allows more professional recording opportunities, reduces editing time and ultimately will be better for your ears. In the past few weeks the site has been streamlined with some major speed improvements. In addition with the recently updated Font Awesome v5 all of the sites iconography has been updated and extended. The backend RSS feeds for iTunes have also been updated to add the new Apple iTunes descriptor tags for those podcatchers that support them. In addition we’ve added our shows to Google Play and we’re now also in Stitcher with more to come to make it easier to listen however and wherever you are. For content upcoming, Pragmatic ended its Elon Musk arc recently and is shaping up to be an interesting year with several guests now lined up. For the increasingly popular Analytical we’ll be covering an even mixture of topics between practical and philosophical topics this year. Finally for Causality this year we’ll be covering Columbia, Bhopal and Deepwater Horizon just to name a few. Causality in particular continues to grow in popularity and is set to overtake Pragmatic in the future if trends continue, so if you’ve haven’t given it a chance, you should definately give it a listen. All support through Patreon is always very much appreciated and it remains the best way to support the shows and the network. However remember that beyond Patreon there are still other ways you can help if you’re enjoying our work at TEN. For any (or ALL) of the above, select View in iTunes, then Click to Rate, or better still also Write a Review! The ratings help and the reviews really help! If you listen in Overcast then “star” the episode as you’re listening to help others find what you’re listening to, or better yet, share the episode on Twitter or Facebook! Finally, a huge thank you for everyone that takes time from their day to listen to our shows. Time and precious and the fact that you take time to listen means a great deal. Thank you for your ongoing support and listenership. The Engineered Network shows are predominantly recorded using AudioShare, post-produced using Ferrite and published using Transmit for iOS on an iPad Pro. On the 10th of July, 2017 now that the final key MP3 patent had expired on the 9th of April, 2017 Ferrite was updated to include MP3 encoding as well as chapter markers in both formats. Following this, all episodes previously post-produced using Ferrite had their original audio pulled from the archives, and re-encoded in an MP3 format. 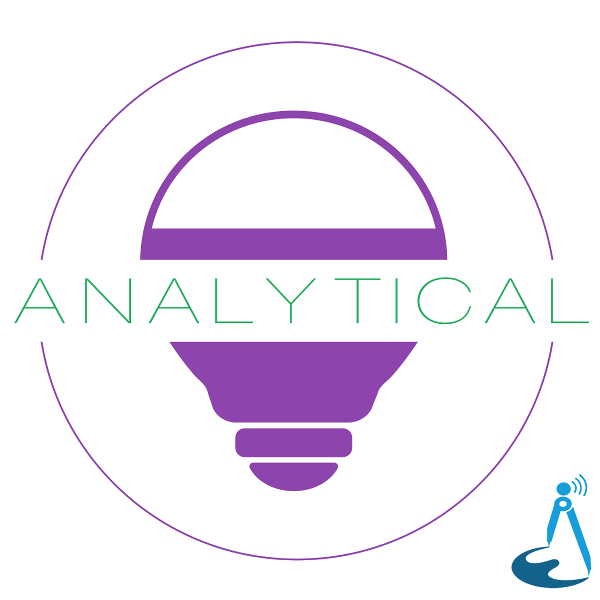 All episodes of Analytical as well as the most recent 8 episodes of both Pragmatic and Causality have also been upgraded to high bitrate VBR MP3 format. This will improve the overall final quality as well as fix any compatibility issues between different podcast playback devices that don’t support the M4A format. As of now, all TEN shows are in the MP3 format and will remain that way for the foreseeable future. A few months ago I added a new Patron-only feature of offering Ad-Free, prereleased versions of all podcasts I produce. The feedback has been quite positive as many fans of the show want to listen to the shows without advertising and self-promotion so I’m doubling-down with that moving forward. As of today I’ve now added the entire back-catalogue of Analytical and Causality in Ad-Free format for Major Enthusiasts and above on Patreon. I’m working on doing the same for Pragmatic in the future. In some cases I’ve just clipped out any advertising or promotional content but in quite a few places I’ve also tweaked the audio, closed some gaps and the final exports are often a higher quality bitrate than the publicly released versions. They will appear on the RSS Audio Feed embedded in Patreon for each person. Due to the nature of Patreons current podcast RSS format, there’s no way to split the episodes by Podcast, nor is there a way to back-date an audio-post entry. Ad-Free back-catalogues are therefore being released in bulk groups so they will appear in sequence in your podcast player of choice. In cases where a recent episode was early-released it will be removed and republished so it shows up in the correct sequence. If or when Patreon improves their podcast handling I’ll refine it further at that time, but for now this should work and it’s far easier than Authenticated feeds that won’t work with some popular podcast players. Thank you everyone for your continued support and I hope you enjoy these refined re-releases of past episodes. The network is continuing along with some wonderful Patrons supporting it and I’ve been thinking about ways that I can give people that want to support the shows more options to choose from. I haven’t done anything with the segregation of Tiers since the network began in late 2015 so I think it’s time to refine it a bit more. in addition I’ll be re-editing fan favourite past episodes and releasing them via the ad-free feed. Because of the way Patreon audio feeds work with tiering, it’s not sensible to have two sets of episodes, one with ads but pre-released, and one without, show up in the same feed across multiple tiers. For this reason I’ve separated out this ad-free option and will no longer be offering early releases of the public episodes (with ads). Hopefully that makes sense. The truth is that early-releasing podcast episodes that are identical to their public released audio is somewhat odd given that podcasting is effectively popular because its nature is time-shifted and most people choose to listen at their convenience. I suspect mainly because of this fact, time-shifting alone was not very appealing and based on downloads and feedback, very few patrons found early-release (on its own) to be very compelling. Hence the change to an ad-free option instead. There have been several episodes recently that were sponsor-advertising free, so when I say ad-free in those cases, I intend to strip out all self-promotion as well. If you’re a Patron listening to the ad-free version, you already know where to find the network Patreon, and what the other shows are, so I don’t need to tell you about all of that! Episodes will just…start…with brief introductions and they’ll end…quickly. Tighter. Focused. More inline with the original intent. It will be released in 1080p if there’s any interest, and if not, that’s totally fine. Causality recently had its first 3,000 downloads episode and continues to gain popularity. I’ve just kicked off a multi-episode arc that looks at my own wheelhouse: Control System Engineering root causes for major disasters. At the end of the arc there will be a special episode that brings it all together. And there’s lots more to come with Causality. Analytical continues to be my place for ideas that don’t fit elsewhere and it’s a quick and fun show to make so I’m going to keep making it. I’ve had some great feedback about certain episodes and it’s good to be able to dig into more philosophical and management of people related issues. Lots more still to come. Pragmatic remains the most popular show on the network and I’ll be bringing on more guest hosts in coming months. I have plans for some episodes on Tesla, Elon Musk’s ventures and a long-awaited revisit to the battery problem where we’ll dive into the changing landscape of offline storage and ask the question: has the battery problem been solved? So much great stuff in the pipeline for the show. It’s far from done. Finally I’d like to wrap by once again thanking the supporters of the network, as well as the listeners, for your continued support. I will keep making more episodes as long as I am able and backed by such great people. At 14 episodes over as many months and with 2016 drawing to a close I wanted to take a few moments to walk through why and what I do to make this podcast. Throughout my career I’ve come across so many things that went wrong on different scales, some with lethal consequences but most, thankfully not. For the greater world there is no shortage of mistakes and incidents that I’ve taken a personal interest in during my life. As an engineer when I read about a cruise ship sinking, bridges collapsing, and nuclear reactors surviving a Tsunami (or not) I can’t help but think - what could have been done differently? I approach every episode of Causality wearing my professional hat as best I can. If there’s anything I’m not convinced by, I’ll dig further until I’m satisfied. I’ve read a lot of inquiry findings and investigation reports and am aware of the biases that often creep in and affect the words on the page, the over-dramatisation of documentaries and the twisting of the facts to get the desired finding. Facts don’t lie if you dig deep enough. Unsatisfied with the English translated section of the Amagasaki “accident” report I spent hours digging through the Japanese version of the sections relating to mental state of the driver bouncing between different translation tools to try and understand whether the driver had been getting enough sleep. Unable to locate a single definition source of information about Flint Michigan I went over dozens of articles on what lead up to the incident and dug through some textbooks on corrosion control techniques to understand what actually happened to the water supply. Unhappy with the popular documentary on BP Texas, I went through the multi-hundred page report and the Chemical Safety Board depiction of the event and stripped out the details that made the most sense as the root causes. That’s just three examples that come to mind. This level of research, comprehension and effort takes time and that’s why it can take up to 30 hours of preparation and 5 hours of recording, editing and post-production to create a single episode of Causality. This is why there is typically one a month. Causality has been a chance for me to connect my online and offline worlds in a positive way. I like to think that engineers listen to the show and can learn something from the conclusions drawn in each one. Even if they don’t, I personally have learned a huge amount from researching and questioning the official stories and in trying to comprehend what went wrong, I’ve ended up picking up some things to be wary of myself in my own career. It’s my hope that this can be a different way for people to learn about fault finding, root cause analysis and understanding that incidents can be prevented and that nothing is truly an “accident”. I will put whatever spare time I can into making every episode as good as I possibly can and whilst this is far from my full time job I try to treat it as if it were. I couldn’t make this show without the support of listeners and especially Patrons of the show via Patreon. Thank you all for your support, your encouragement and your feedback. Analytical is a solo podcast where I talk about ideas and concepts I’ve come across over decades of Engineering relating to design, managing people and projects and so on. Essentially anything that doesn’t really fit into my other shows but I still find interesting. I try to be careful, considered and calculated in how I do business in my career. I may not have always succeeded, and I suppose I always felt like if something went well or didn’t go well and I wasn’t sure why, I just hadn’t analysed it enough. Hence the title of the show. The show will air every fortnight starting next week and will be be targeted at 15 minutes per episode. Many thanks to Patrons of the network for their continued support and for making this show possible. Augusto Hertz noted that during the show I said “electric” field when I meant “magnetic” field. When a current passes through a wire it does generate a magnetic field. Nice catch Augusto. Listener Augusto Hertz pointed out that during the episode I swapped the two terms DFT and FFT. For clarity, the FFT (Fast Fourier Transform) is in fact an efficient algorithm for calculating the DFT (Discrete Fourier Transform). Thanks for the feedback Augusto. 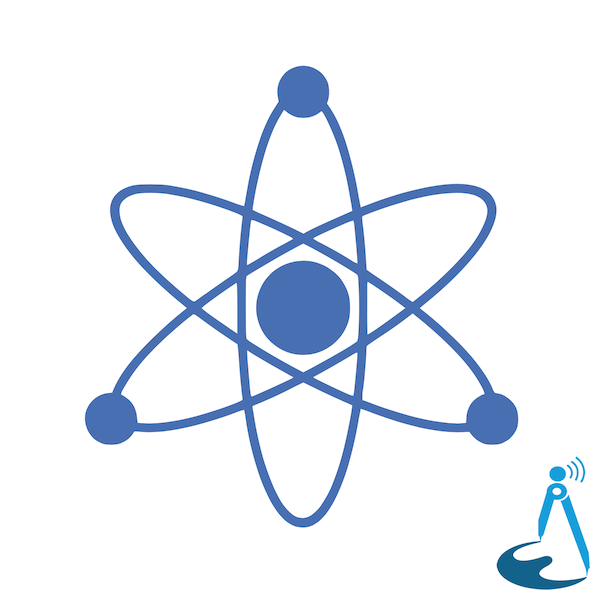 Neutrium, everyones favourite engineering resource now has a podcast! 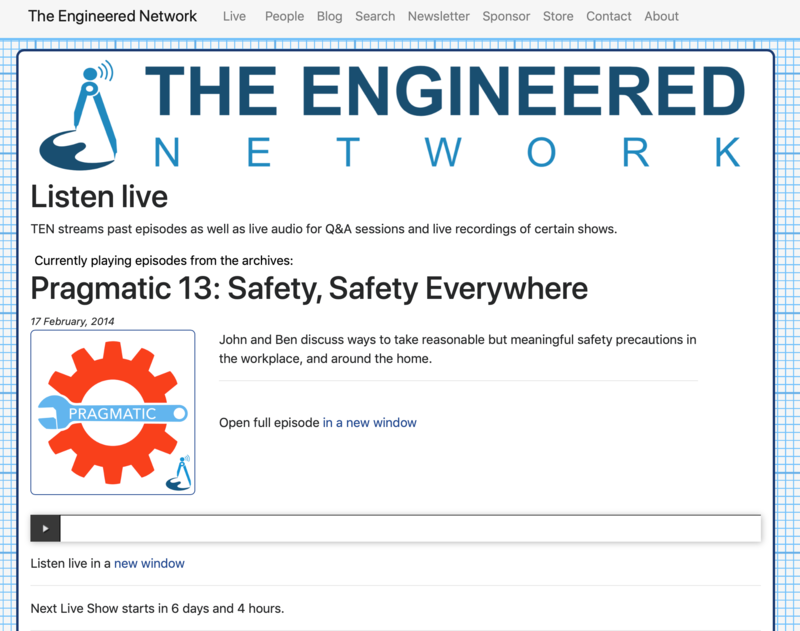 The podcast will be covering many of the topics presented on the site, adding context to the theory and practices of everyday engineering. Bridging the gap between theory and practice the Neutrium podcast will discuss many of the design challenges faced by engineers in their daily work. I didn’t choose to end Pragmatic at Episode 63 for trivial reasons. Balancing work and family life is hard and previously I wasn’t doing a good enough job. There are a few other reasons that I decided to end the show the first time that I can’t talk about however suffice it to say, I have a plan to keep making the show in a sustainable way. 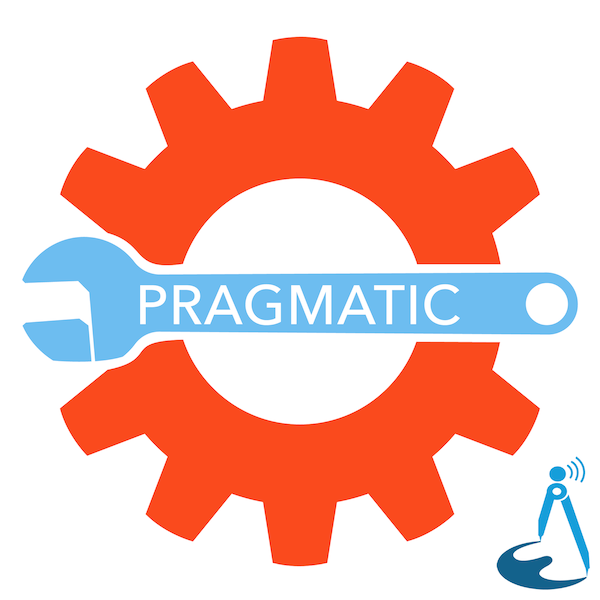 Pragmatic will now only air once a fortnight. There will be no live show and guests will only appear every second month or so. I’m time limiting episodes to 90 minutes maximum and preparation time for each episode will be no greater than 10 hours per topic. Follow-up will still be done either privately, via a show blog post (like this one) or via Twitter where appropriate however if the follow-up is too big it may warrant its own episodes as I have done previously on other occasions to reference just two (there were others). You should also welcome my new co-host Carmen Parisi who also appears on the excellent podcast The Engineering Commons. He is an Electronics Applications Engineer and will be helping with the shows production as well. I’m also starting a network and putting Pragmatic front and center along with a few other shows that I know you’ll enjoy. For the hundreds of fans of the show that wrote in begging me to start making it again, you encouraged me to have another crack at it. Without your encouragement this would not be happening. This time around though, I’m determined to get the balance right. There’s still a lot more to talk about. So let’s get back to it. I love podcasts and my own shows in the past have been mostly independent. I was briefly a part of a network with one of my shows but there hasn’t really been a network that I felt I fitted in to. As I see it, podcast networks suffer from exactly the same problem as traditional radio networks. Unless your show pitch meets with the approval of the lead(s)/head(s) of the network in question, you’re out of luck. If you’re trying to get your show on a network but it doesn’t quite fit with what they’re looking for then you’re independent or you have no show at all. 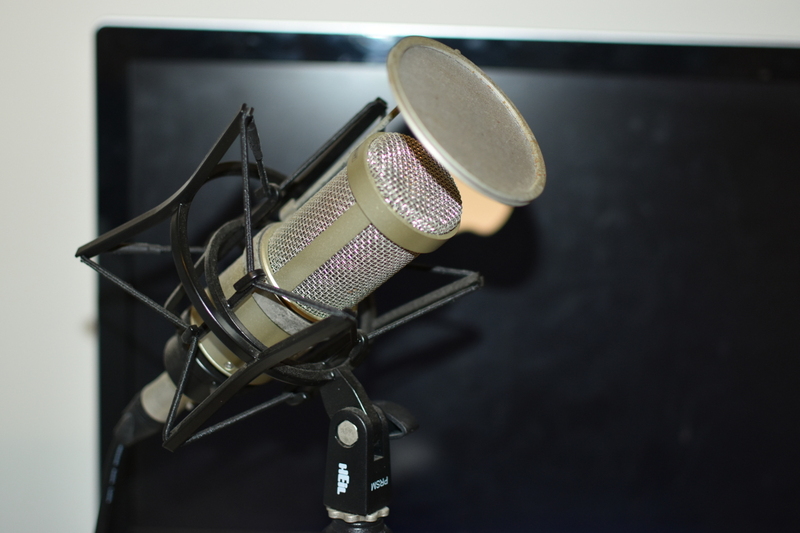 Once a network that caters to your niche exists your podcast potentially has a home, but if that network niche doesn’t exist, you’re out of luck. I’ve known many podcasters that modify their show pitch to appeal to a specific network, but is that really what podcasting is about? It’s power to the people, to the individual or to the niche-groups of people. Podcasting can give them a voice. If you’re into a niche topic, know some others that want to make the same sorts of show that you want to, then what do you do? There’s only one thing for it. There are a very small number of Engineering focused podcasts out there that aren’t primarily about software development. In fact if you listened to the podcasts out there you might be mistaken for thinking that Software Engineers are the only engineers that exist. Of course that’s not true. I’m an electrical engineer and I work with control systems, process, chemical, mechanical, civil structural and civil infrastructure engineers and I’ve previously worked with aerospace, environmental and biomedical engineers as well. The Engineered Network now exists to cater for that niche. 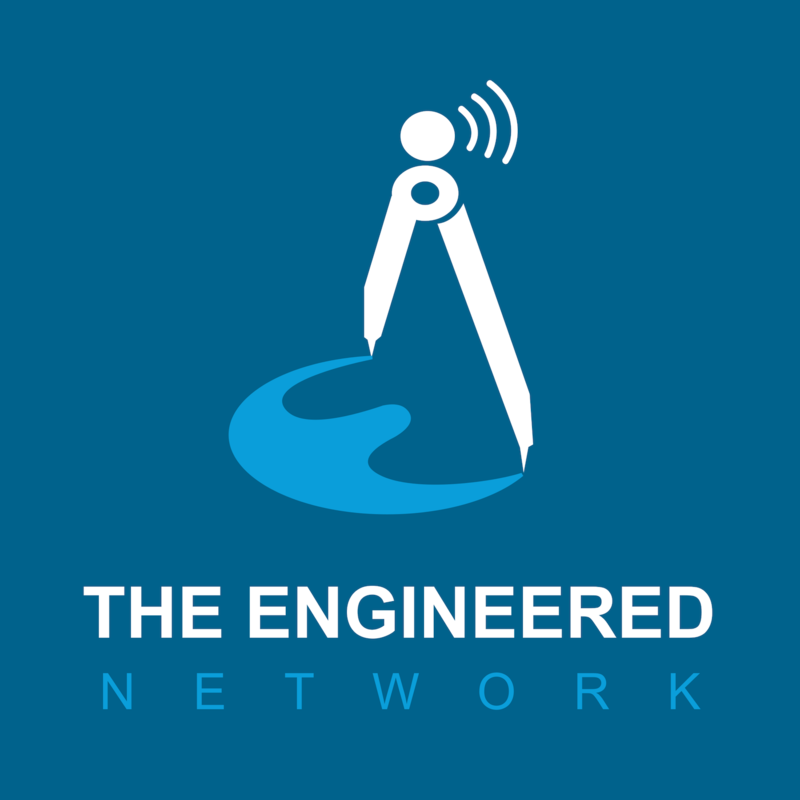 If you’re an engineer that has something you want say, has an itch to podcast and thought no one else was interested in what you had to say, The Engineered Network (TEN) can give you the platform you’re looking for to get your content out there. 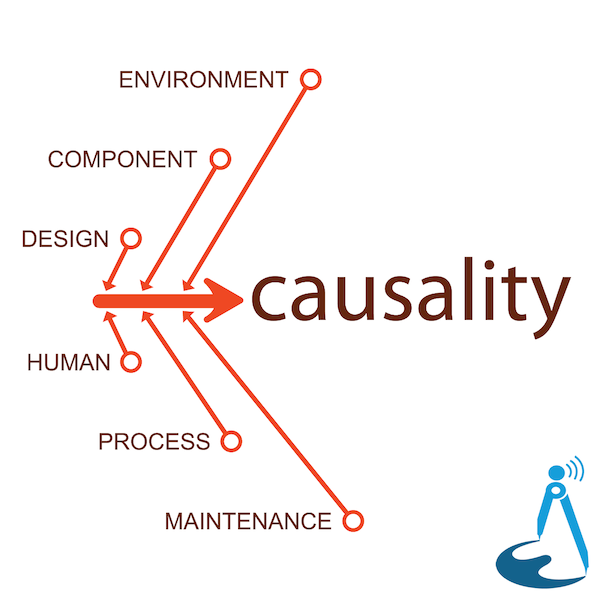 Causality is my (John Chidgey) solo podcast that dives into the details of the cause and effects of disasters, serious incidents and accidents that could have been prevented. Inspired by the response to Episode 11 of Pragmatic, I’ve been fascinated by Cause and Effect for my whole life and am excited to tackle this show. More about that on the show blog. With such a big fallout from ending the show earlier this year, I couldn’t disappoint the fans of the show. However in order to address the time committment required and to balance show production with my work/family time there are conditions: Pragmatic will now be a fortnightly show and will be strictly limited to 90 minute episodes, no matter the topic. You should also welcome my new co-host Carmen Parisi who also appears on an excellent engineering podcast The Engineering Commons and will be helping out with show production. More about that on the show blog. The launch of TEN is intentionally small. It’s a short show list and yes I know, I’m in two of them. However there are several other shows in the works that just aren’t quite ready and there will be more details released about them as time progresses. Thank you also to the fans of Pragmatic that have encouraged me to make the time to keep podcasting. I hope we can collectively deliver content that you’ll enjoy. Another avenue we’re exploring is Patreon, and you can visit our Patreon page and donate whatever you feel comfortable with. There’s more on the About page. If you’re interested in making your own podcast, solo, with a friend, or a group of friends and you’re practicing professional engineers, then please get in touch via the contact form. Causality is my (John Chidgey) solo podcast that dives into the details of the cause and effects of disasters, serious incidents and accidents that could have been prevented. I’ve always been fascinated by cause and effect, fault tree analysis, failure prediction and learning from history, and inspired by the response to Episode 11 of Pragmatic I’m excited to tackle this show. The show will air every fortnight starting next week and will be limited in length to 45 minutes. For longer topics I will be splitting that over two episodes, but I will try to avoid that when I can. I hope you enjoy Causality.